At a time when California's courts are becoming swamped with criminal and civil cases, the legal system's ability to handle the overload seems to be slipping away. "This isn't just a lawyer issue,” says attorney Jon R. Williams, president-elect of the San Diego County Bar Assn. “This is an issue that affects public safety. It affects businesses, and it affects families. It's an issue that everybody should be concerned with." 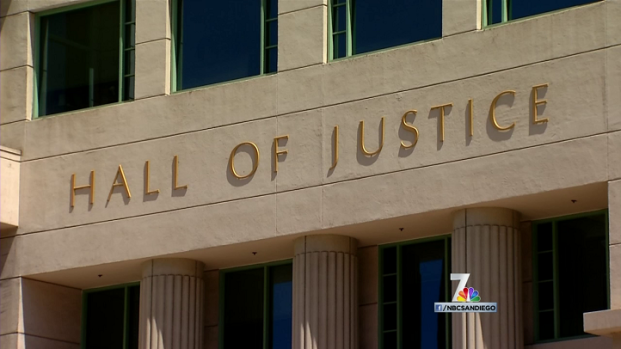 Williams was the lead author of a just-released SDCBA study titled “State of the Judiciary in San Diego County” that reaffirms the notion that “justice delayed is justice denied”. Some takeaways from the report? As state budget cuts have decimated court systems throughout California, there has been fallout from backlogged caseloads. NBC 7's Gene Cubbison reports. The legal system is in deep distress. When people talk about getting “their day in court”, they probably should reduce their expectations, if not sense of entitlement -- especially on the civil side of the ledger. On the criminal side, the legal deadlines are harder and faster. But even that's slowing down. Over the past five years, California's judicial system has endured $1.2 billion in state budget cuts – representing a 30 percent reduction in former levels of personnel and resources. Courthouse and courtroom closings and layoffs have tripled the volume of caseloads handled by the remaining judges and staff. Docket timelines are being extended by several months, often many more. So anyone involved in a criminal case, or civil cases ranging from so-called 'torts' to foreclosures, divorces, and estate disputes is likely to see fewer judges and clerks, and wait out growing delays in trials, verdicts, rulings and appeals up ‘the judicial ladder'. "The last thing that we want is for the public to be affected,” says Robert J. Trentacosta, presiding judge of San Diego’s Superior Court. But Trentacosta, in an interview Thursday, said that’s just what’s happening – and it’s bad for the economy. "If business in California cannot rely on the courts to enforce agreements,” Trentacosta warns, “businesses are going to go elsewhere." Williams is concerned about a wave of social dysfunction, as cases involving divorce, child custody and support, and foreclosures keep festering. "If there isn't a mechanism of addressing these issues in the Family Law setting in particular,” Williams said in an interview Thursday, “you're going to see an increase in domestic violence. So these folks are going to be in court on the criminal side. And it just puts a further burden on the system." Without significant new funding, Trentacosta sees the caseload crisis getting worse before it gets better. "Despite the best efforts of our judges, the best efforts of our clerks, there simply aren't enough people to do the work that comes through the door,” he said. "We serve everyone, whether they're rich or poor or everybody in between … as difficult as it is on our staff, it is even worse for the public. And that is just sad." Now, for a change, the courts are in line for budget boost -- $60 million – in legislation now on Gov. Brown’s desk that would take effect for the fiscal year starting July 1st. But Trentacosta and Williams point out that’s not much, in the larger scheme of things. Less than $2 million is earmarked for San Diego County. Expectations are, it will take many years to right the judicial ship. All the people served by the courts don't recognize themselves as a constituency, and thus don't rise up to lobby or protest like other 'special interests'. And, the judicial branch of government doesn't have fundraising powers. “We have been cut disproportionately”, says Trentacosta, noting that the courts account for only 2 percent of the state’s budget.